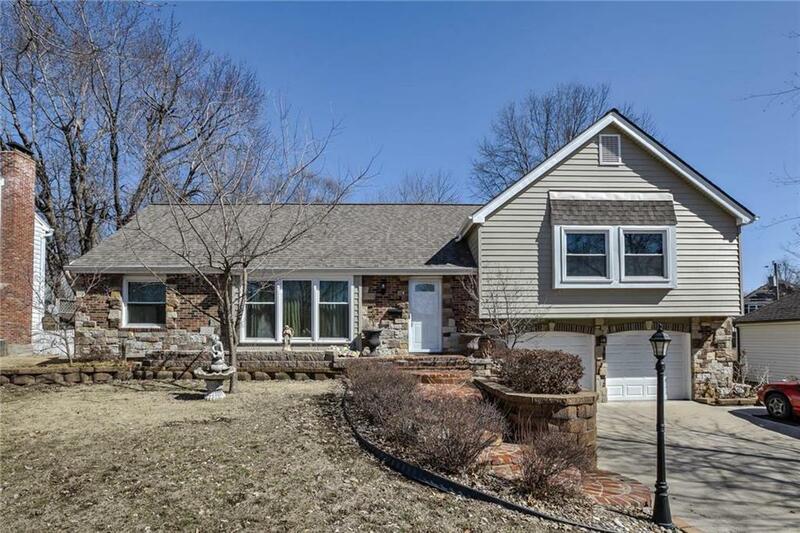 Amazing home with NEW vinyl siding, New HVAC, NEW windows, NEW H2O heater, kitchen offers 3 ovens, NEW dishwasher, NEW Corian counters, sink & backsplash, formal & eat in dining areas, formal living, family room, beautifully landscaped fenced backyard with a pergola & covered deck. Widened driveway and brickpaver entry. New Refrigerator stays! Directions: Antioch Rd to 64th St. East to Bales. South to home on left.